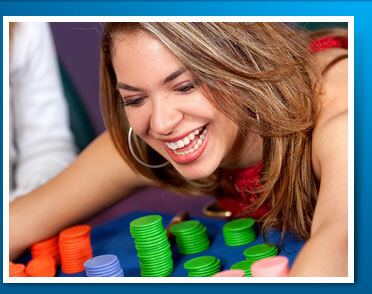 Nowadays, aggression is not only a highly trendy, but also a highly effective poker and online poker strategy approach. Countless players have risen to become headliners out of nowhere based on sheer aggression, although aggression has one major defect: when everyone practices it, it becomes much less effective, plus, it induces some wild variance which will eat up relatively high bankrolls too, putting players out of action in record times. The appeal of aggression is obvious: it’s all about action and at the end of the day, people don’t hit the tables to fold hand after hand and to play a game of patience: they’re looking for instant satisfaction. On the other hand, there’s a solid mathematical justification behind aggression too. Here’s a short example to illustrate the mathematical truths behind aggression. Consider two players, with the first of them mounting an attack on the latter’s big blind from the cut-off. The bib blind decides to defend, but the flop misses both hands, only giving the attacker a gut-shot straight draw. The best move on the part of the attacker in this situation is to fire out a decent-size bet again, thus putting together a semi-bluff. The semi-bluff is an interesting tool of aggression. The semi-bluffer is looking to force a fold, but in case his opponent decides to tag along nonetheless, he can still make his hand and take down the flop at showdown. Still, the primary goal of the semi-bluff is to force the fold, and the bet in the above said situation takes advantage of the fold equity. When you fire a bet into your opponent, you basically build up two ways to win the pot: you will win it if he folds, and f he doesn’t you’ll still have a chance to win straight up. The odds offered by the likelihood of a fold are called the fold equity. With that in mind, it’s easy to see that the player who initiates the action, the aggressor, always has a mathematically well-justified edge over those who merely call. Rakemeback.com is your best bet for securing a top online poker loyalty deal. if you’re looking to visit rakeback site, you may as well stop at RMB…things don’t get any better.